Celebrate the 4th of July with a day of live music, family fun, and the country's best fireworks. 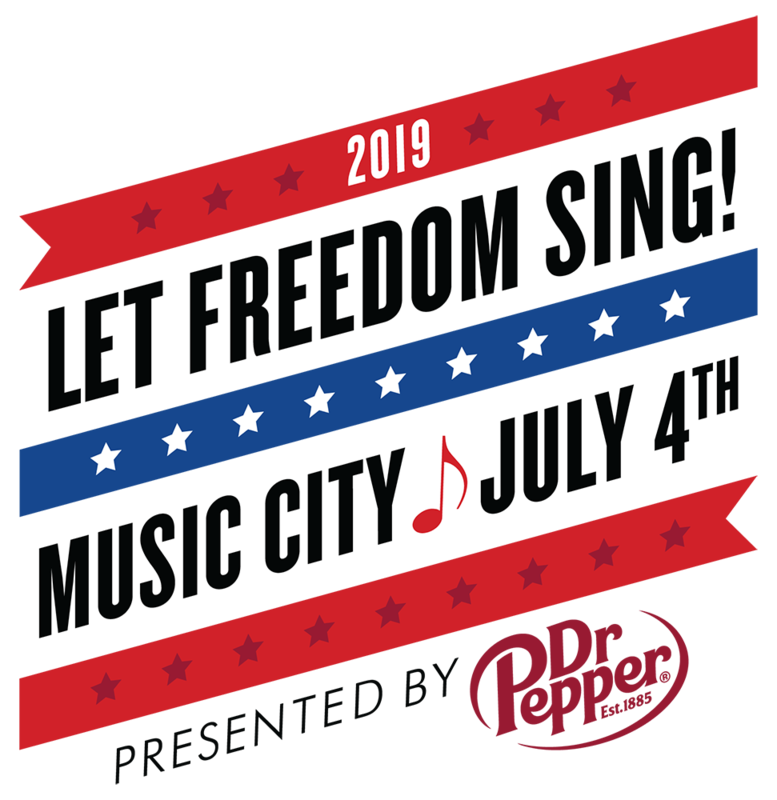 Brett Eldredge, Mac McAnally, Jessy Wilson, and Dylan Scott to play this year's #NashvilleJuly4!​ ​​​​​​Read more from the press release. Nashville's July 4th celebration is a family affair! Climbing walls, water slides, samples, games, live music, and so much more will keep every member of your family having a great time. See why Nashville is named one of the best 4th of July celebrations. Let Freedom Sing! Music City July 4th package experiences are available for purchase. Book yours today and do more for less in Music City. Conveniently located in the West End area near Vanderbilt University. 2018 Frequently Asked Questions. Stay tuned for 2019 Details. YES! It's #NashvilleJuly4. Use #NashvilleJuly4 to join the conversation about the biggest and best 4th of July party around. YES! Connect to the free Nashville WiFi network! A little rain can't stop a Nashville party! We will be watching the weather very closely and will make decisions accordingly to keep our guests safe. This website will be updated as necessary and we will be offering up-to-the-minute information via social media. Start following @VisitMusicCity now on Twitter. Yes, food and beverage vendors will be on location. If I leave, can I come back into the event? Yes, this event is free and open to the public to enjoy. Only service animals are permitted on the event site. You can contact the Nashville Convention & Visitors Corp by calling 800-657-6910 or 615-259-4730, emailing nashcvc@visitmusiccity.com, or contacting @VisitMusicCity via Twitter. Of course! Let Freedom Sing! Music City July 4th is a family affair. Can I bring a cooler or backpack into the event? Coolers and backpacks are not permitted into the official event site. Will my personal items be searched? All personal items are subject to search. Random searches will occur. Can I bring my own products to sell or promote? Unauthorized vending and solicitation is prohibited throughout the event site. Many roads will be closed during the Let Freedom Sing! Music City July 4th celebration. Thanks to all of our wonderful partners who make Let Freedom Sing! Music City July 4th a success!